It's hard to write about climate ethics, because in my experience almost everyone is in denial about it. Most people agree that today's climate change is mainly caused by human activity, but hardly anyone is prepared to admit that our emissions are indirectly killing future people (as I explain in more detail below, and here and here and here; see also WHO and DARA). Logically, anyone who today burns large amounts of fossil fuels, or benefits from such burning, is an auxiliary to indirect murder - and in middle-class Western societies (for example), that is just about everybody. Ignorance is no excuse, and in truth, we have known about this for decades (more). The obvious and inescapable conclusion is that just about everybody has to make radical changes to aspects of their lifestyle that contribute significantly to greenhouse-gas emissions; and we have to do this immediately. The time for procrastinating is well and truly over. Speaking of logic, some readers will be acquainted with the following well-known example from the history of philosophy: (i) Socrates is a man, (ii) all men are mortal, therefore (iii) Socrates is mortal. This is a syllogism: it includes premises (i and ii) and a conclusion (iii), and these elements are related to each other by deductive reasoning. If the premises are true, the conclusion is true. In the analogous case of climate change we can say the following: (i) Climate change is knowingly being caused by humans in our generation, (ii) climate change will indirectly cause the deaths of hundreds of millions of future people, therefore (iii) hundreds of millions of future people are being knowingly indirectly killed by humans in our generation. To my knowledge, there is no doubt at all about either of the premises (i and ii), which means there is no doubt at all about the conclusion (iii), either. The climate deniers will at this point launch into lengthy misleading arguments, but in my experience they are no more than that, and should be ignored by anyone who is skilled in the art of argumentation, which includes recognizing such distortions; and every academic should have that skill. The next issue that arises is that of emotion. People who get emotional when presenting their arguments are often distorting them at the same time. We are used to this and tend therefore to ignore emotionally presented arguments. The previous paragraphs are intrinsically emotional, because they are about things that we hold dear - human lives, and very large numbers of them. Another emotional element is the guilt that we feel when we read these lines. But seen in a more objective light, these paragraphs contain neither demands nor accusations. They may have sounded like that, but in fact they did not. Instead, they contained observations, facts, and logical conclusions. If people learned to separate their cognition from their emotion, we could make big progress on these issues. Theoretically, academics should be good at doing that, too. 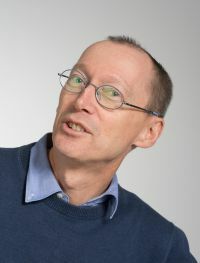 If we agree that murder means knowingly ending the life of another person, and that (at the risk of stating the obvious) murder is always bad and should be avoided at all costs (leaving aside special cases such as abortion and euthanasia), it is obvious that radical changes are immediately and urgently necessary to slow or stop carbon emissions in all sectors. "Denial" in this case may involve claiming to agree with this simple argument and then avoiding the topic as if it didn't exist, or failing to understand the obvious implications of this shocking revelation. It's interesting to try to apply this idea to academic conferences. We conference organisers often treat conference participants as if they were in Level 1. We offer them something good (the chance to present their work to many expert colleagues in a nice location) for a certain price (the registration fee). We hope they will participate, if only for purely selfish reasons. We ask them to write sensible things in their abstract submissions, otherwise they will be rejected. Submissions to conferences are often reviewed anonymously by external experts: the abstract reviewers. Conference organisers may treat them as if they were in Level 2. The reviews know the widely accepted rules of academic quality control (what makes a good paper) and how to evaluate a submission. They are asked to apply those rules fairly. I am assuming that readers of this page have arrived in Level 3. If you can think in an abstract way about general moral principles and apply them to new situations - regardless of existing rules, conventions or expectations - we should talk to each other about conferences and climate. Perhaps we can come up with some new solutions. If you are in Level 3, you regard your main ethical principles as more important than social standards that deviate from them. You live by your principles, which in your eyes transcend current rules, laws or norms. You may for example insist on the importance of honesty even in difficult situations, or the universal right of every person to life, freedom and justice, even if such principles are often infringed by others around you. You realise and agree that the right to life of other people is more important than your own freedom of speech (a fact that has escaped most climate deniers). Your actions may be determined by such principles regardless of the consequences - such as a repressive regime threatening to throw you in prison. You are altruistic and empathic: you can imagine what it would be like to be another person in a difficult situation (as if standing in their shoes). You tend to understand what other people want, why they want that, and how they would like others to act. Climate change will seriously affect future generations. Can we imagine that? Can we empathize with the people who will suffer as a result of our emissions in the future? Consider a farmer in Bangladesh in the year 2080. He is one of those that survived the famines, plagues, rising seas, unprecedented storms, and extreme heatwaves. Or imagine a a doctoral student in your academic discipline in the year 2080. Will society still be able to afford such luxuries? What will she experience? What would it be like to walk in her shoes? What does she want? If those two people were here today - the student and the farmer - taking part in a discussion about flying to academic conferences, what would they recommend? Should we listen to them? Are academic conferences really dangerous? Now let me ask a general question. What would happen if we, the academics of the world, found out that one of our regular, important, valued activities was indirectly and unintentionally killing people in a different time and place? We would surely stop that activity immediately, if at all possible, wouldn't we? Conferences to which many people fly is indeed such an activity, as I will explain in detail below. In fact, a typical large international conference may produce enough CO2 to indirectly cause the death of one future person.It follows from the previous statements that most flying to most conferences should be stopped immediately. Not in ten years, not in one year, but right now. Allow me to apologize for repeating myself - but the following repetition is really necessary. I am not making a demand, and I am not accusing anyone of anything. It may seem like I am waving a moralizing finger, but that is not my intention, either. I am merely coming to a logical conclusion, based on the facts and arguments that are available to me. I ask my colleagues to evaluate my argument from that perspective. This text has an aggressive feel about it, which I cannot deny. Nor can I deny that I'm angry about it, although I do try hard to hide the anger. But how else can one reasonably react, when hundreds of millions of future lives are at risk and people seem to be pretending the problem doesn't exist? The reason my message comes across as aggressive or arrogant may not lie in the way I am expressing it (and believe me I have tried many ways, more). Instead, the reason may lie in my audience's state of denial - in particular, the denial that our emissions are indirectly causing future deaths. From a psychological viewpoint, aggression, like denial, can be either a defence mechanism or a coping strategy. Aggression can cover fear, and it can prevent a discussion that could undermine denial. Perhaps this will become clearer if we draw an analogy with a more tangible (although fictional) situation. Imagine an American academic walking down the street in a poor US neighborhood with her ten-year-old son. They come across a group of other children who are playing with guns, firing them into the air just for fun. She gets angry with them and explains they should stop immediately. After all, they could kill each other, her son, herself, or anyone else who happens to walk past. The children perceive the woman as arrogant and aggressive. They honestly and sincerely think it is ok to play with guns. They are grown up now, and they know what they are doing. Besides, adults are playing with guns the time - and not only on TV. She agrees that their arguments are correct. But that that does not change the fact that they could easily kill or seriously injure someone. The woman merely says obvious things. In doing so, she defends the right to life of all people, especially young, financially disadvantaged people, as it happens - which is also the aim of this page. Climate change is often about probabilities. The children will probably not kill anyone, if they are as careful - as they say. Nevertheless, everyone reading this text will agree that those children should stop playing with those guns. Not tomorrow, not next year, but immediately. Second, the example is about responsibility. If someone gets seriously injured or killed in this situation, and they are all firing their guns at the same time just for fun, it may be unclear which child is responsible. Even if it was clear, the guilty person would be a minor, which would limit responsibility and punishment. Which raises the question: To what extent are we responsible for the human consequences of our greenhouse emissions? If the answer is unclear, is that an excuse to continue? A third connection is about the way other people view the situation. If this incident were reported in the media, much like I have described it here, most people would agree - from total pacifists at one extreme to the gun lobby at the other - that the parent was right to react angrily. If you care about someone who is putting themselves and others in mortal danger, it is ok and usually productive to get angry. Conversely, if the parent did not react angrily, one might well question her skills or suitability as a parent. A parent whose child's life is being threatened is not expected to stand by and watch. Nor do I wish to stand by and watch, as long as people (including myself, for many years) are flying to academic conferences, which to the best of my knowledge is indirectly and unintentionally future killing people. And I can understand it if people who are concerned about climate change also get angry about it. Fourth, the children point out correctly that a lot of other people play with guns, both on TV and in real life. This is a specific example of a more general logical fallacy: if other people are doing something, it must be ok; or if we have always done something a certain way, and there were no serious consequences, we should continue. In fact, those other people who are doing the same thing are not necessarily justified in so doing. Besides, the context within which any activity happens is constantly changing. Both of these points have direct relevance for carbon emissions of all kinds - including flying to academic conferences. Flying to conferences is not ok just because other people are doing it, or because Saudi Arabia is still selling or burning enormous amounts of oil, or Australia is still selling and burning enormous amounts of coal. A valid counterargument is that some academic conferences may contribute significantly to reducing the death toll in connection with poverty and climate change in developing countries. Examples include conferences of the Sustainable Development Goals, medical conferences that have a significant positive impact on disease in developing countries, and political conferences that contribute to conflict resolution and peace. It is surely still ok for active participants to fly to such conferences. A more problematic argument is that flying to academic conferences cannot be stopped unless a feasible alternative comparable form of academic communication exists that fulfills the same function. In fact, nothing can justify an activity that is contributing to a future death toll, so colleagues who propose this argument are presumably still in denial about the human costs of climate change. But even if we ignore the human cost, the truth is that any academic who today flies to a conference to give a talk could, if she or he wanted to, present the same material remotely and electronically to the same audience, with the much same efficiency of information transfer and the same active engagement of the audience with the material. Options include modern teleconferencing technology (assuming the conference organisers provide a good service), a video recording prepared in advance, or combination of both. Alternatively, they could present the same material at another, possibly equally important conference, that they can travel to without flying. There are so many conferences going on these days in different places in just about every discipline that we can pick and choose which ones we attend. Many academics should be attending fewer conferences and spending more time performing and writing up their research and submitting it to leading journals. Many of us have experienced both good and bad virtual presentations at conferences. If the technical problems are solved, which today is not difficult to do, the efficiency of communication of academic content will be no different in live and good virtual presentations. We can also combine personal contact (via something as simple as Skype) with a previously prepared video - and launch a new period in the history of academic communication. People of the future will look back and ask why we took so long to make this change, given the obvious academic benefits. Before continuing, I want to respectfully ask those colleagues who have read this far for feedback. We can only solve problems of this kind if we work together. I welcome comments on this page from colleagues who have already been thinking about the human costs of climate change. If one of those precious colleagues is reading this text, genuinely wants to help me achieve the text's goals, and finds any kind of error, omission, or misleading statement, I will be more than glad to receive this information and fix the problem as soon as possible. For a brief introduction to the background, try the Wikipedia pages on climate ethics, climate debt, climate justice and environmental justice. These are arguably today's more important ideas (or today's most important contribution to the history of philosophy), so it is worth spending some time on them. Plausible claim: Climate change is the biggest emergency of our generation - probably the biggest in all of human history (more). Plausible claim: Academics have more responsibility than others to do something about climate change, because of their unusual opportunities to (a) understand and evaluate the relevant research and (b) inform and influence large numbers of people (more). Observation: Many academics believe they have an inalienable right to fly to conferences. Trivial truism: If this right exists, it is certainly incomparably smaller than the right to life of future generations. Trivial truism or normative statement: We should never knowingly cause the death of another person (the well-known exceptions, abortion and euthanasia, are beyond the scope of this argument). And incidentally - there is no such thing as an academic who "must" fly to a conference, especially if the conference offers good opportunities for electronic communication. Every year, some 130 million infants are born in the world, and some 55 million people die (source). The birth rate is falling, but it is not falling quickly enough; solutions include promoting human rights (especially education) for girls and children in developing countries (more). Of the deaths, the number of preventable deaths, or the number indirectly caused by poverty (hunger, preventable disease, curable disease, violence), lies between 10 and 20 million per year, depending on definitions and approach (source; source). Poverty cuts many lives short. If life is the most important human right, this is the most important human rights issue. Mean global temperature has risen by about 1°C since the start of industrialization, reducing the positive impact of development efforts such as the UN Millennium Development Goals (source). Recent decades have nevertheless seen a promising gradual reduction in mortality in connection with poverty (McMichael et al., 2004). mass migration from poorer to richer countries. Each point in this list represents an unprecedented catastrophe - all by itself. When all points happen at once, and when they interact with each other in unforeseeable ways, we approach the limits of our ability to comprehend. Experts cannot reasonably say what is going to happen - even at "only" 2°C of warming. All countries will be affected, but mainly developing countries with high population densities, weak economies, and warm climates (see the literature listed below - especially Costello et al., 2009; McMichael, 2012). Combining this background with the findings of the academic research literature listed below,we can confidently predict that a global temperature increase of 2°C will at least double the current death rate in connection with poverty for a period of one century. This is no more than a rough order-of-magnitude or ballpark estimate, but it is better than none at all. It implies that the total death toll due to global warming will be 10 million per year times 100 years, or one billion, corresponding to one-tenth of the projected maximum global population of 10 billion. If, as seems likely later in this century, a third of the global population is still living in "developing countries", about a third of those people will probably be dying in connection with global warming and its many negative consequences. It is now practically certain that the predicted 2°C mark will be crossed. But that is merely a conservative estimate. If we consider the complex political context in which this is happening - the dismal failure of climate politics to slow the global growth in fossil-fuel use over the past 20 years, the continuing differences between political intention and reality, the difficulty of motivating both democracies and dictatorships to take appropriate action, the rising global wealth gap which is undermining democracy and the finances of nation states, the global rise of irrational, populist, xenophobic political movements, and the continuing conflicts and other disasters that constantly distract attention from the climate problem - the most likely outcome may be a global temperature increase of 3-4°C, peaking (hopefully!) sometime in the next century. That is much worse than uncomprehensibly bad, but we are currently treating it as an everyday news item. At the 2015 Paris conference, well-meaning politicians included the ambitious 1.5°C goal in their final statement, although leading climate scientists and economists had agreed years before that the deadline for achieving this goal was long past (more). With continuing misunderstandings and distortions of this kind at the highest level - ranging from populist naivete at the Paris conference to blatant climate denial in political parties such as the US Republicans or the Australian "Liberals" - it is realistic to be skeptical. If we are lucky and humanity manages to limit the temperature increase to 2°C, that will have been caused by burning one trillion tons of carbon (source). By comparison to estimates about human death rates, this is a relatively exact figure. It that indirectly causes a billion deaths, spread out over a period of about a century, if follows that we are causing one future death every time we burn about 1000 tons of carbon. This is only an order-of-magnitude estimate, but the figure certainly lies between 100 and 10 000 (probably between 300 and 3000). Hopefully, humanity will get global warming under control. But hoping is not good science. Global politics is complex, and the human psyche unpredictable. According to current estimates, 4 trillion tons of carbon could reasonably be extracted from the earth's crust. If all of it was burned, global temperature would rise by some 8°C, plus several extra degrees due to positive feedback processes (e.g. forest fires, melting ice, and methane release, leading to more warming in self-reinforcing processes). In that case, the planet would become uninhabitable for humans, and we would die out (source). If burning 4 trillion tons of carbon causes 10 billion deaths, one future death is caused by burning 400 tons of carbon. Comparing these two scenarios (under control versus out of control), we may plausibly claim that the number of tons of carbon to kill a future person is about 1000 at the moment and will gradually decrease as the situation worsens, approaching 400 in a business-as-usual, out-of-control scenario. Integral to this approach to understanding the human consequences of emissions is the time lag between cause and effect: the effect of emissions that we are creating now will not be felt for several decades or even centuries. Different greenhouse gases have different atmospheric lifetimes, between tens and thousands of years (more). The contribution of different forms of transport to climate change is a complex topic. Different greenhouse gases have different warming effects. They stay in the atmosphere for different periods of time, depending on part on the elevation at which they are released (more). But some things are clear. Aviation is currently contributing about 2% to global CO2 emissions. If you consider the effect of all gases emitted by aircraft, and the high altitudes at which they are emitted, the net contribution of aviation to global warming is more like 4% (more) - and it is growing. In the following calculations I will consider only CO2. If you take a regular commercial return flight across the Atlantic (e.g. LA to Berlin) in economy class, changing flights at one airport on the way, you will effectively burn about one ton of carbon, generating about 3.7 tons of CO2 (i.e. the aircraft will get through some 300 times that much). To check how much fuel you effectively burn on a given trip, use an offset calculator. For most individuals, flying significantly increases their carbon footprint (more). Airlines differ considerably in their fuel efficiency (more). Assuming that humanity will get global warming under control, and using the corresponding estimate of 1000 tons carbon per future death, it follows that a typical large global conference today - attended by 1000 flying foreigners - kills one future person. This person will probably live and die in a developing country later this century, and may already be alive now, as a child. These arguments permit only one morally acceptable conclusion. If we believe in human rights, including the overarching importance of the right to life and the equal intrinsic value of every person, all academic conferences must decarbonize as quickly as possible. The easiest way to do this without loss of academic quality is to invest the money that is currently spent on flying into electronic conference communication technologies. The transition process may make conferences less enjoyable and less productive in the sense of starting new collaborative research projects - at least in the short term. But it could also increase academic standards by improving social inclusion. Electronic attendance would be possible for many researchers who are unable to attend in person, such as disabled researchers (those who have difficulty flying or negotiating staircases, for example) and financially disadvantaged researchers (those who cannot afford the travel, accommodation and registration, including student researchers anywhere or researchers from developing countries). Why not just offset the CO2? The social and environmental cost of carbon is about 70 Euros per ton. Why not just calculate that and pay it to organisations that plant zillions of trees, or are otherwise engaged in research and development on climate change, or the political struggle for effective climate action? If we treated everyone in the conference equally, including those who "must" fly (as if there were no closer conferences in the world at which they could present their research), why not just calculate the total carbon footprint of the conference, on that basis estimate of the total social and environmental cost, and distribute that cost equally across all participants in the registration fee? The problem with this idea is that only a small part of all global emissions (currently still 10 trillion tons of carbon per year) can be offset by planting trees. A typical tree absorbs 10-20 kg CO2 from the air per year, that’s maybe 5 kg carbon, so the world would need 2 trillion trees, and these trees would also need to be protected to ensure they remain healthy and their wood is never burned. There are about 3 trillion trees in the world, which due to deforestation are presumably no longer absorbing all non-human emissions (in the good old carbon cycle), let alone the added human emissions. To stabilize and reduce global CO2 this way (remembering that CO2 concentration should be reduced from 400 to 350 parts per million to avoid dangerous climate change), the total number of trees in the world would have to be roughly doubled, which is not practically possible - at least not in a reasonable time window of say 10 years (recall the urgency of the situation). The solution for all sources of CO2, including academic conferences, is to do two things at once: significantly reduce emissions AND offset the remainder. Seen another way, if a tree absorbs 10-20 kg CO2 per year, that’s 100-200 kg over 10 years. A return transatlantic flight creates 2000-4000 kg CO2 per economy passenger, so such conference participants would have to plant 20 trees – for every conference! That would be a small forest for every academic career. Reducing emissions that we can avoid is an important precursor to offsetting. Acting by only offsetting creates the perception of greenwashing your event, by overlooking things you can act to reduce. So reducing emissions is always the first step. ... Offsets are an interesting subject and they have a role to play, but they should never be the first point of embarkation for an event organizer. We aren’t going to fix the world’s biggest climate challenges through offsetting alone. It doesn’t address the root cause of emissions. Conference participants can be divided into two main categories: low-carbon physical participants who travel and from to the conference with low-carbon transport (train, bus, ship, bicycle, etc.) and virtual participants who do not travel, or travel by low-carbon transport to parallel subconferences in other parts of the world. The stated aim of the conference can be to enable and promote academic communication among and between low-carbon physical and virtual participants only. In the review process and conference programming, both groups should be treated equally - as far as practically possible. Physical participants who use high-carbon transport (air, car, motorcycle etc.) can be held responsible for their own emissions and their environmental and human consequences. They can be asked at registration to sign a disclaimer that legally releases the conference organisers from responsibility for these emissions in future legal proceedings. As long as governments are not levying carbon taxes that reflect the true social and environmental costs of air travel, high-carbon participants can be asked to pay a higher registration fee that covers those costs. Organisers can spend the proceeds appropriately, for example on electronic communication technologies, relevant charities (alternative energy research, development, promotion; tree planting; climate politics) and awards for academic merit. High-carbon participants can be offered the opportunity to avoid the "carbon tax" by remaining near the conference venue (for research or teaching purposes and/or on holiday, without using high-carbon transport) for one week per 1000 km of distance from their home or place of work. A person flying from New York to a conference in London might avoid the tax by staying in the UK for 6 weeks; from London to Sydney, 17 weeks. The academic societies that organise and promote conferences in their disciplinary areas can support the transition to zero-carbon conferences by (i) encouraging universities to adjust their travel reimbursement policies so that researchers can more easily combine conferences, research projects and holidays into one trip; and (ii) promoting the long-term creative development and promotion of user-friendly electronic conference communication technology. I have developed a new conference format in which the conference is distributed across several nominally equal hubs ideally covering all continents. All talks are both live and virtual. All live and virtual presentations are to audiences, and all audiences discuss the content. All discussions are summarized in a comment feed enabling a global discussion. During most of the conference at a given hub, audience members are free to choose between parallel live, virtual and delayed presentations, and symposia on specific themes that combine them. Details are explained elsewhere. From a scientific viewpoint, it is certain that emissions are causing global warming, and it is practically certain that global warming is causing hundreds of millions of future deaths. These points are not new; disregarding climate denial and its continuing political and social consequences, both points have been practically certain for decades (more). From a legal viewpoint, our failure to change our conference culture in response to these practical certainties makes us accountable for the consequences. Legal proceedings in the area of climate protection will become more frequent as the consequences become more serious. From a moral viewpoint, nothing can be more unfair or less justified than causing the deaths of future people. Moreover, we academics are privileged by our extended education and networking possibilities. We can more easily contribute to a solution of such global problems than the average person, because we can more easily understand them, and develop and promote solutions. That advantage morally obliges us to act accordingly. It follows - and this is meant purely as a logical consequence, and not as some kind of political demand - that we academics now have no choice but to reduce our emissions and aim for zero emissions, and encourage people in all other sectors to do the same. The question is not whether we do that, but how we do it. We need to be creative, of course, developing new approaches that allow us to achieve these goals, while at the same time aspiring for high academic standards ("excellence"). But we have to reduce emissions immediately even if we are unhappy with the best available strategies and even if they affect the quality of our work. As it happens, they probably will not; in fact, the inclusion of financially disadvantaged and disabled colleagues as virtual conference participants may have the opposite effect. As a rough guide, conferences scheduled for next year should aim to cut their carbon budget by half. Conferences scheduled for five years from now should aim to make no net contribution at all to atmospheric CO2, by offsetting any CO2 produced by supporting tree planting, energy research and political projects. Incidentally if you agree in general with these sentiments please support the Tyndall Centre for Climate Change Research. There are many ways to decarbonize academic conferences, and it is not the purpose of this statement to list them all. The purpose is to express the urgency of the issue and to encourage all organisers of all academic conferences to face the facts and engage creatively and responsibly with the problem. It is no longer reasonable to ignore it, deny it, submerge it in misleading arguments, or laugh it off. Academic researchers in all disciplines are truth-artists. We are searching for the truth, however defined, and we are hopefully doing it honestly. The main aim of peer-review processes is to promote the truth, as far as we are in a position to recognize it, and to expose and prevent lies and distortions. Another important aspect of research is the relationship between results and implications. If global warming and associated future death rates are the result of greenhouse gas emissions, the obvious implication is that we must stop emitting. Implications depend on results and not vice-versa; results depend in turn on the empirical findings, models, and associated arguments, and not vice-versa. Climate deniers manipulate findings, models and arguments in order to change results, which in turn changes implications. Academics are well-placed to identify and discredit such trickery. We should not fall into the same trap ourselves. Academics in all disciplines should be contributing more to political discussions about the urgency of reducing all greenhouse gas emissions. The details are beyond the scope of this statement, but here are a few ideas. Regarding aviation, private jets should be globally outlawed and all airports and airlines should have plans in place to quickly and seriously downsize their operations and branch out into others (e.g. high-speed rail). To ensure that this happens, governments should be heavily taxing flying (and/or carbon generally) and spending the proceeds on research and development of sustainable alternatives; incidentally, as long as millions of people are dying of hunger every year, sustainable alternatives cannot include biofuels. Beyond that, the entire fossil-fuel industry must be dismantled and closed down, and that must happen far more quickly than current international treaties suggest. The above calculations suggest that the 10 billion tons of carbon being burned worldwide every year are causing 10 million future deaths every year - comparable with the rate at which people are currently dying in connection with poverty, and effectively doubling it. Energy consumption must urgently be reduced or made more efficient in all areas (e.g. housing and transport). The political contributions of research organisations such as for example Union of Concerned Scientists should be taken more seriously. These are some of the obvious implications of climate research findings. If we academics, who are in a good position to understand these findings and implications, want such messages to be heard, we should start by decarbonizing our own activities as an example to others. We cannot expect others to make sacrifices without doing so ourselves. At first glance, this document seems to invite a lot of discussion. Of course discussion and revision of the content will be necessary - it is important to get the facts straight. But we must also realise when it is time to stop talking and start acting. We should focus on the most important issues and facilitate discussion by the use of simple, direct language. We should avoid emotional discussions whose function is more therapeutic than academic. We should focus responsibly on understanding and solving the problem. We should move quickly toward the development of concrete, realistic, sustainable strategies that will quickly lead to significant, real reductions in emissions, and ultimately to the complete decarbonization of academia. This is a personal statement, and responsibility for it rests entirely with the author. It is completely independent of any organisation to which I belong, or any position held by me, now or in the past. It is motivated by two kinds of personal guilt. The first is about my contribution to global warming, which is surely higher than that of the average academic (more). Since 2014, in an attempt to solve this problem, I have not flown to a conference unless three criteria were fulfilled: I was invited to speak to a large audience, other means of transport taking less than 24 hours were unavailable, and I could spend significant extra time near the conference location (research, teaching, holiday). The second kind of guilt is about the next generation of researchers, who will not be able to enjoy international travel in the way my colleagues and I have done. For me personally, the challenge and fascination of traveling to conferences in different countries was one of the main things - perhaps the main thing - that made an academic career worthwhile, in spite of the pressure of publishing and applying for research funding on top of teaching and administration, and before that living for many years on low, insecure income, or being forced to move countries in search of secure income. But there can be no doubt that the right to life of a billion present and future people is more important than the right of researchers to fly to conferences, which is the main point I want to make. Costello, A., Abbas, M., Allen, A., Ball, S., Bell, S., Bellamy, R., ... & Lee, M. (2009). Managing the health effects of climate change. The Lancet, 373(9676), 1693-1733. Barnett, J., & Adger, W. N. (2007). Climate change, human security and violent conflict. Political Geography, 26(6), 639-655. Ibarrarán, M. E., Ruth, M., Ahmad, S., & London, M. (2009). Climate change and natural disasters: macroeconomic performance and distributional impacts. Environment, Development and Sustainability, 11(3), 549-569. Keim, M. E. (2008). Building human resilience: the role of public health preparedness and response as an adaptation to climate change. American Journal of Preventive Medicine, 35(5), 508-516. Leaning, J., & Guha-Sapir, D. (2013). Natural disasters, armed conflict, and public health. New England Journal of Medicine, 369(19), 1836-1842. Louis, M. E. S., & Hess, J. J. (2008). Climate change: impacts on and implications for global health. American Journal of Preventive Medicine, 35(5), 527-538. Marmot, M., Friel, S., Bell, R., Houweling, T. A., Taylor, S., & Commission on Social Determinants of Health. (2008). Closing the gap in a generation: health equity through action on the social determinants of health. The Lancet, 372(9650), 1661-1669. McMichael, A. J. (2012). Insights from past millennia into climatic impacts on human health and survival. Proceedings of the National Academy of Sciences, 109(13), 4730-4737. McMichael, C., Barnett, J., & McMichael, A. J. (2012). An III wind? Climate change, migration, and health. Environmental Health Perspectives, 120(5), 646. McMichael, A. J., McKee, M., Shkolnikov, V., & Valkonen, T. (2004). Mortality trends and setbacks: global convergence or divergence?. The Lancet, 363(9415), 1155-1159. McMichael, A. J., Woodruff, R. E., & Hales, S. (2006). Climate change and human health: present and future risks. The Lancet, 367(9513), 859-869. Nel, P., & Righarts, M. (2008). Natural disasters and the risk of violent civil conflict. International Studies Quarterly, 52(1), 159-185. Sachs, J. D., & McArthur, J. W. (2005). The millennium project: a plan for meeting the millennium development goals. The Lancet, 365(9456), 347-353.